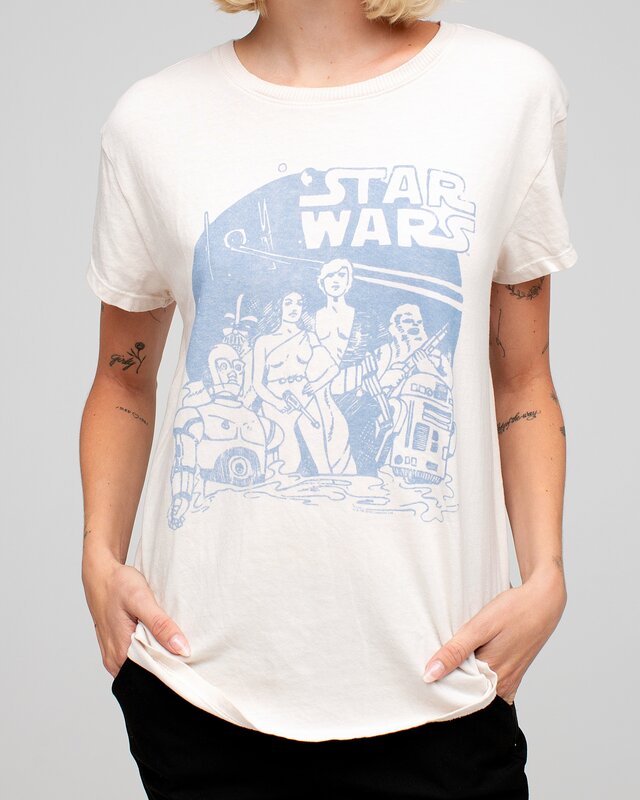 This women’s Star Wars vintage-style t-shirt is available at Junk Food Clothing. 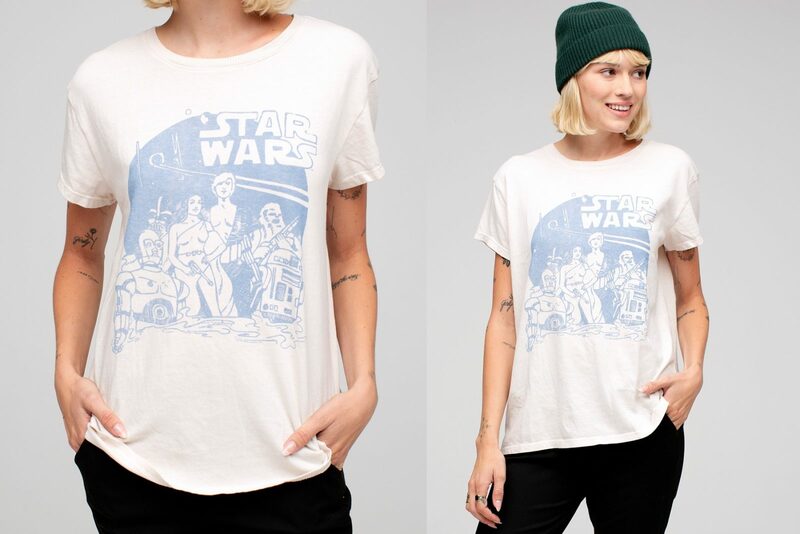 The light coloured t-shirt features a pale blue print of vintage Star Wars artwork, which includes classic characters like Luke Skywalker, Princess Leia, Chewbacca, C-3PO, R2-D2, and Darth Vader. Welcome to our illustrated interpretation of this epic science-fiction film depicting the Rebel Alliance as classic poster art. Originally released in 1977, George Lucas’ Star Wars (later subtitled Episode IV: A New Hope in 1981) became a bonafide worldwide pop-culture phenomenon and launch two follow-up films as part of the original trilogy, The Empire Strikes Back (1980) and The Return of the Jedi (1983). This is real cinematic history! 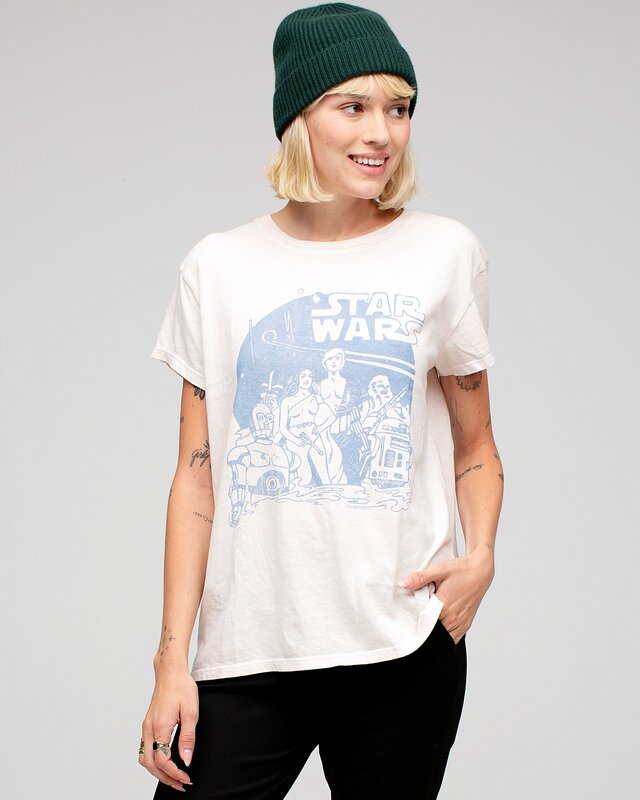 Available in sizes XXS to XXL, the t-shirt is priced at US$40.00 each – Junk Food Clothing can ship with the United States only (overseas customers – this t-shirt is also stocked at ModCloth). 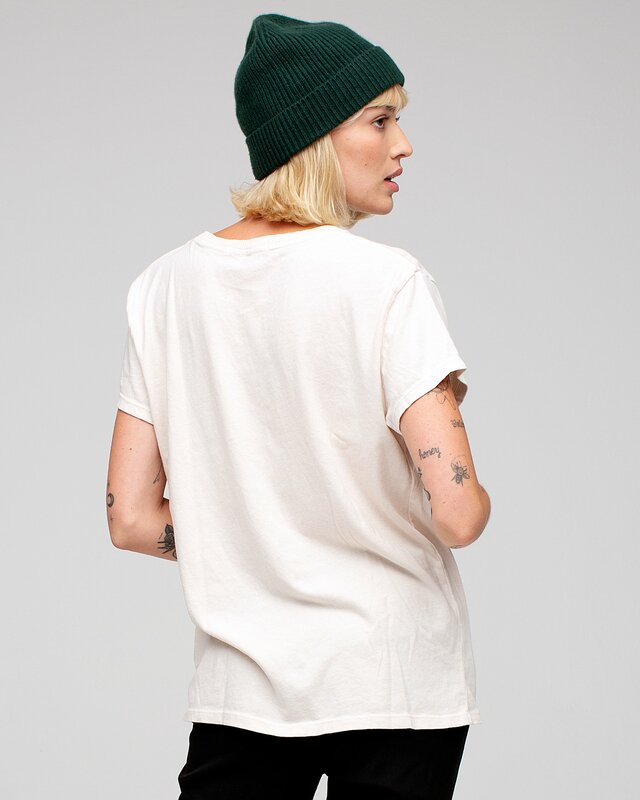 Photos sourced from and belong to Junk Food Clothing. Previous Post New Rose Tico Shirt Dress by Musterbrand!